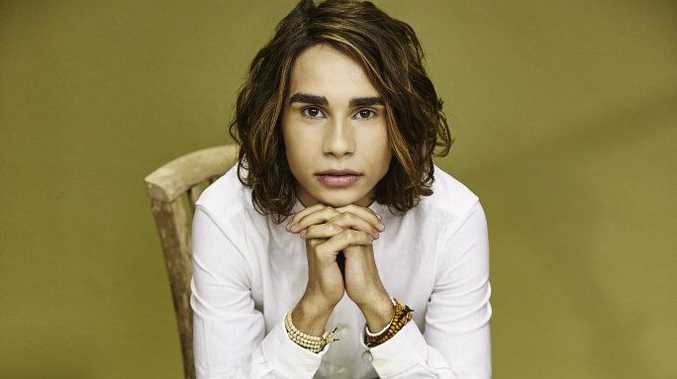 ISAIAH Firebrace credits his family and regional upbringing for keeping him grounded through his whirlwind experience on The X Factor. The soul singer, who grew up on the banks of the Murray River in Moama and Echuca, was crowned the reality show's winner last night, which also happened to be his 17th birthday. "Growing up in a regional area has taught me to appreciate where you're from and just appreciate who you are," Firebrace told APN. "It also made me appreciate people. My community is really tight-knit and they're so supportive." The demands of a national TV show, including performing during live broadcasts, put a lot of pressure on the teenager who describes himself as chilled out. "It's all about mentally staying on top of everything, not letting anything get to you and always being positive," he said. "In this industry it can get really tough. You can get eaten up if you're not strong enough." Firebrace's debut winner's single It's Gotta Be You is out now and he will soon go into the recording studio to re-record his songs from The X Factor for his winner's album to be released on December 9. "Far out I'm recording an album," he said. "I'm looking forward to Halo, Let It Be, Got You, Hello - I'm literally looking forward to recording the whole album." Looking further into the future, he hopes to follow in the footsteps of some current pop chart-toppers. "I'd really like to make an album or continue with singles that are fresh and cool for radio," he said. "I love Justin Bieber's album Purpose; it's an amazing album. I really like that cool pop with a bit of R&B and soul. "I like Justin Bieber and Ariana Grande-type beats. And I also love Ed Sheeran's nice, slow ballads." 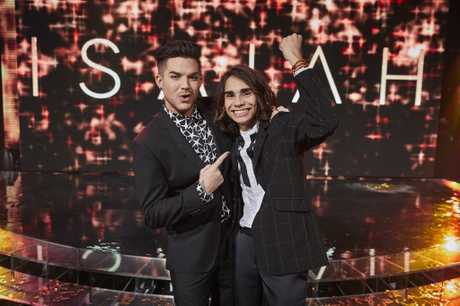 Firebrace was full of praise for his runner-up Davey Woder, who was the first to hug and congratulate him when he was named The X Factor winner. "Davey always kept saying 'you're going to win it' and then he was like 'I told you so'," he said. "It was awesome getting to know each of the contestants but Davey was the most fun out of everyone." The teen is likely to move to either Sydney or Melbourne to pursue his music career, but first he'd like to take his family on a holiday. "I've never been overseas before, so it would be amazing to take my family overseas," he said. "If not then Australia is such a beautiful place. I'd like to go somewhere like Hamilton island." While The X Factor has been a springboard for Firebrace's budding career, the show's future is in doubt after declining ratings. Last night's grand final decider only attracted 751,000 viewers across the five metro cities. In comparison, The Block's recent winner announcement drew 2.104 million metro viewers and is the highest rating non-sport program of the year so far.